It just reminds how, as children, we always were curious creatures and I couldn’t think of a better way than cycling to mark the Children’s day! BTC in association with Buzz in Town, held this event on the 17th of November, 2013 in support of Om Ashram. 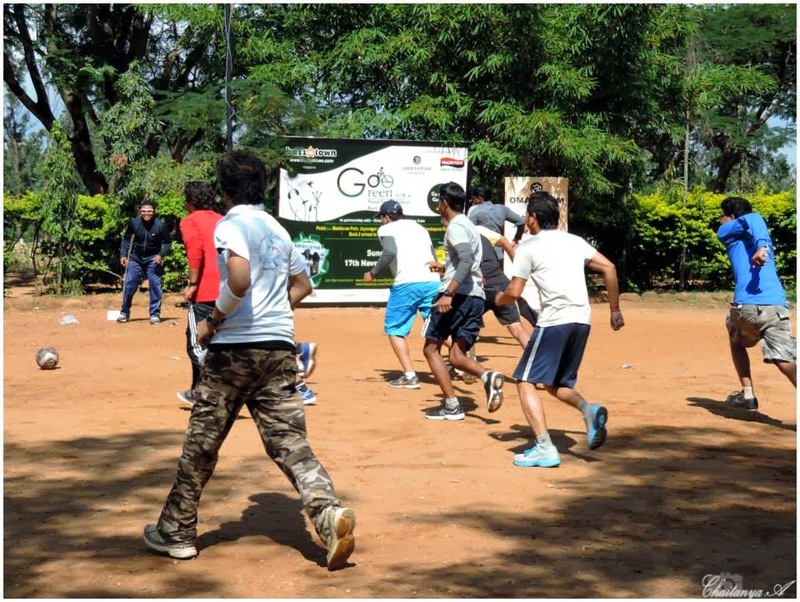 By sporting a green act – plant a sapling, this event made sure to pass a very important message to the children of today. 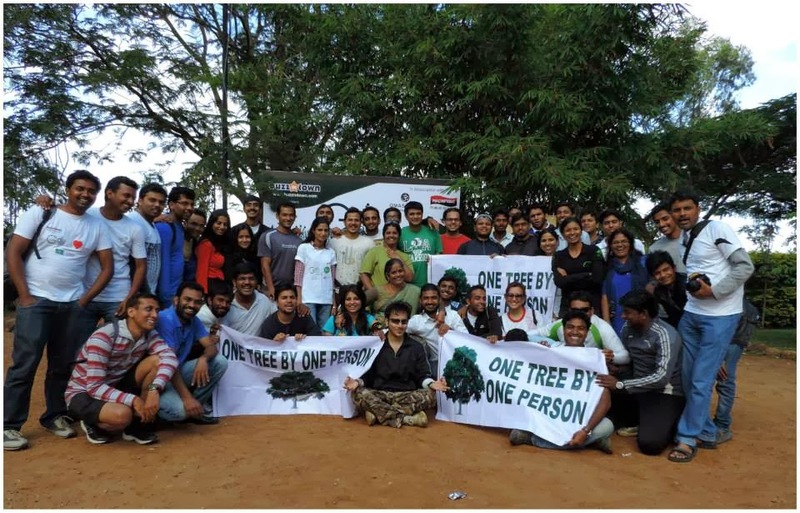 Special thanks to the green initiative-‘One tree by one person’ by Us Moinuddin. All the participant cyclists gathered at Madhavan park, Jayanagar to begin yet another cycling trail of 18kms to the Magnifique Public School on Kanakpura road. Bangalore weather had been kind enough to it’s fellow cyclists. I was super excited with this being my very first cycling event! As we crossed the city limits, Kanakpura road welcomed us with a green hug. The entire stretch from there to the school was an eye-candy. With just one juice break, the enthusiastic team made it to the school grounds, where we were greeted by kids who reflected our very own childhood back to us. After a quick energy grab and a few speeches, an impromptu series of events kept us going. It was a complete back to school experience with the ‘forgotten’ nursery rhymes, A for apple phonics followed by few attempted stand-up comedies and antakshari. The grounds were soon thumped by few dancers as the music pumped in. Although I was made the victim of putting the first foot on the ground, I must admit it was knuckle-cracking fun. The funkiest moves were put across by the school kids there, who left no room for competition. Well at this point, announcement of lunch time was a delight to ears. 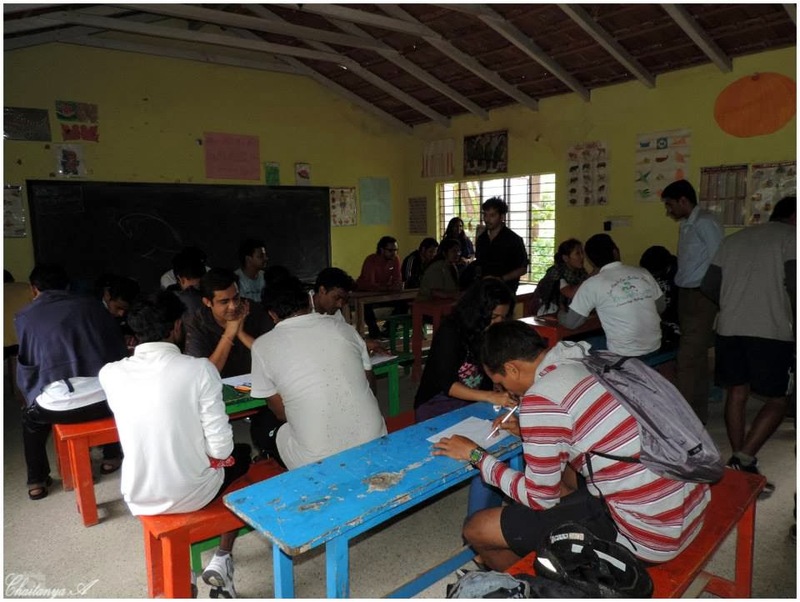 With a lush of greenery that painted the school, it was a peaceful lunch ever. Post lunch we were asked to exhibit our creative side on sheet of paper with crayons. Everybody is still waiting to know who pocketed the ‘Best drawing award’. We then planted few saplings in the school campus adding to it’s charm. While I wondered how much more energy I had left, someone suggested we play a game of football. Now this is when people had to mug up each other’s names or at least their team members’ names. And who won the game is still a big question; so I’m not even getting there. 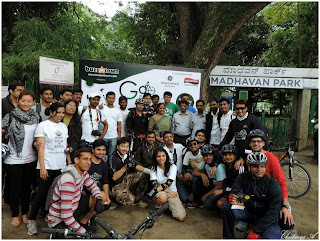 With an amazing feeling of ‘a day well spent’, we began pedaling back to Bangalore. Oh boy, isn’t this the first time I realized what an elevation Bangalore marks! It drained all my energy; however thanks to few determined cyclists who kept me going all the way back. No feeling like coming back home. There ended a 42kms of magic pedaling and an awesome day!